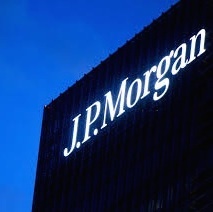 JPMorgan Chase & Co announced today it has chosen Brett Krause to head its locally incorporated bank in China, continuing its hiring spree and strengthening its executive lineup in the important Asian economy after a recent shakeup. Krause, a 20-year banking veteran, was hired as President of JPMorgan Chase Bank (China) Company Limited, the New York-based bank said in an e-mailed statement, according to Reuters. He joined JPMorgan in January and previously held leading roles at Citigroup, including senior country officer in Vietnam. Earlier this month JPMorgan announced it had hired former UBS AG banker, David Li, as the new head of overall China business, including investment banking. In March, the bank’s chief executive for China investment banking, Fang Fang, left the firm as an investigation was going on into JPMorgan’s hiring practices in Asia.